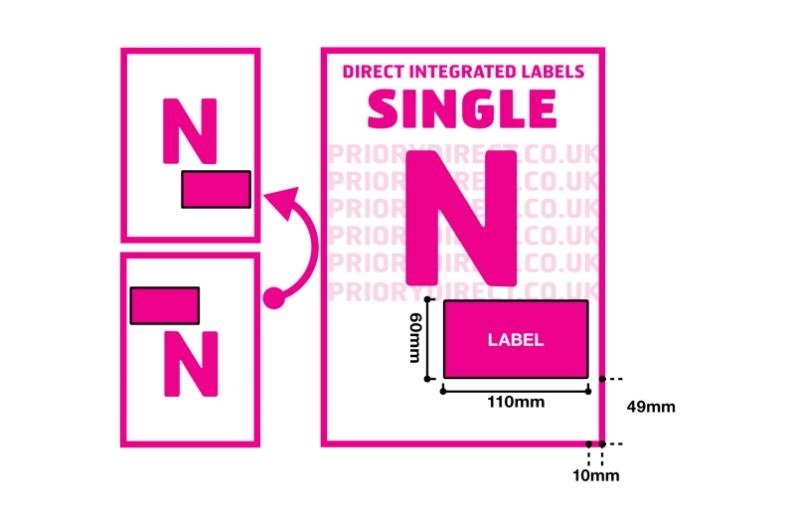 Single Integrated Label Style N is compatible with eBay and popular with PayPal sellers too. 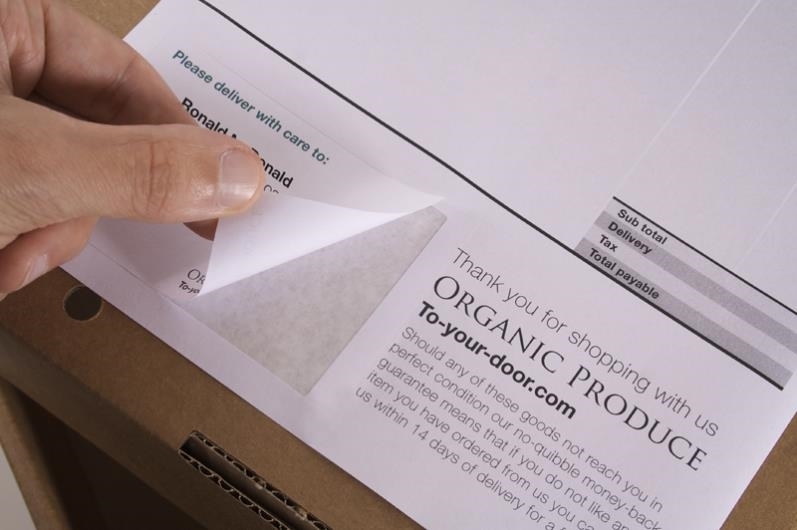 The label area is formatted to line up with the address label and invoice/packing slip areas needed when using these platforms. 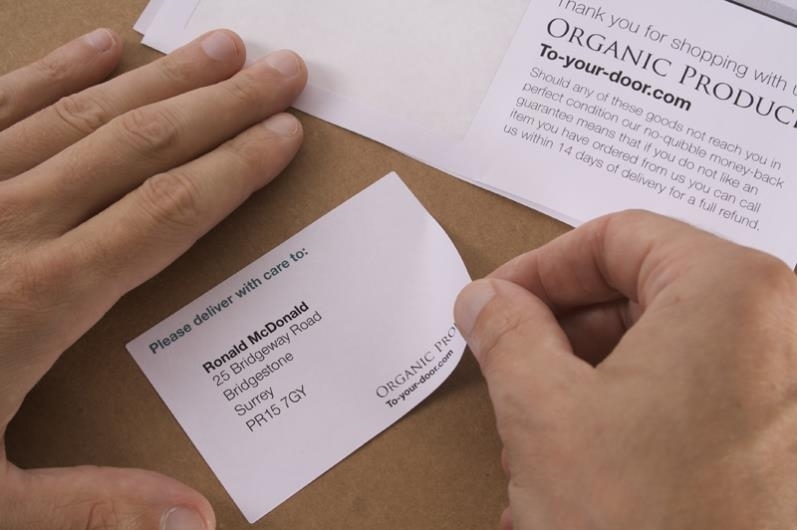 The removable self-adhesive label is positioned 10mm from the right and 49mm from the foot of the sheet to line up with the ‘document invoice/packing slip’ postage label option when printing directly from eBay Seller Manager. 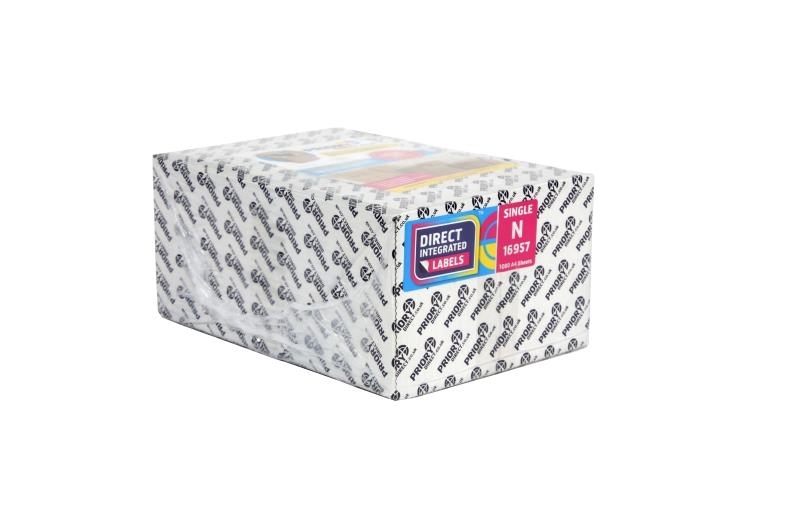 The label is 110mm wide and 60mm deep and uses our specially developed adhesive to ensure a reliable ‘stick’ to any packaging materials.